I had the amazing opportunity to meet Leah Chase, The Queen of Creole Cuisine and Disney’s inspiration for the Princess and the Frog movie. We were talking about food, of course, and she told me many great stories about cooking up wild game dinners for political figures in New Orleans. She was given 40 wild ducks which was the beginning of what was to become an annual game dinner. The game dinner grew every year to the point where she was cooking up five whole deer by herself to feed over 350 men. Leah was creative with the various game that was donated to the dinner, including squirrel, rabbit, and various fowl. 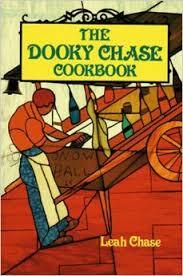 Below is a recipe from her cookbook, The Dooky Chase Cookbook, that has a nice section dedicated to wild game. She inspired me at the end of our conversation by repeating, “you keep cooking that wild game, girl”. So you too, keep cooking that game! Clean and cut squirrel into parts. One should make about six pieces. Rub squirrel with 1 teaspoon of the salt and 1 teaspoon of the black pepper, Set aside. In a heavy pan with a lid (dutch oven) heat the oil. Place the squirrel in the hot oil, browning pieces on all sides. Lower heat and cover; let steam for 15 minutes. Remove squirrel from pot and set aside. To the drippings in the pan, add flour. Stir and brown the flour a bit. Add onions and cook for 5 minutes; add green peppers and garlic. Stir; cook 5 minutes more. Add burgundy, water, the remaining salt and black pepper, the cayenne pepper, the bay leaves, the thyme, and the parsley; stir well. Return squirrel to the gravy; cover pot. Let cook over medium heat for 35 to 40 minutes, until the squirrel is tender. Serve over rice. Yield: 6 servings.